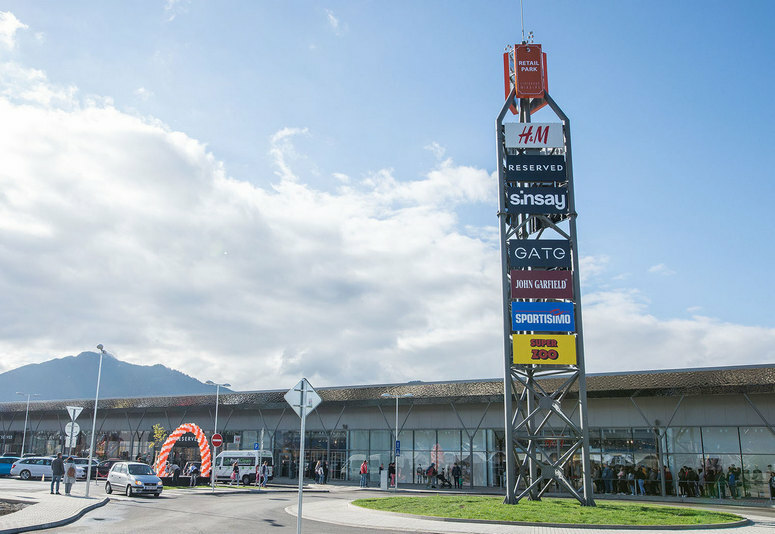 When Austrian real estate developer Soravia opened its location at Slovakian Retail Park Liptovský Mikuláš in September 2018, expectations were high. That was hardly surprising: After all, Retail Park Liptovský Mikuláš, which is situated in the immediate vicinity of the city of Liptovský Mikuláš and boasts a retail area of 55,000 sq m, is by far the largest Slovakian retail agglomeration outside the capital, Bratislava. The result was a complete success, and the Austrian company decided to expand the location just a few months after its opening. In addition to the existing 9,000 sq m of net leasable area (NLA), an additional 4,000 sq m of NLA will be added by the turn of the year 2019/2020. Soravia is committed to remaining true to its successful concept of providing customers with modern and affordable high-quality fashion at Retail Park Liptovský Mikuláš, and it affords new brands outstanding development potential in the region. Existing tenants, such as H&M, which opened its first shop in the region, Reserved, and Sinsay are being stormed by customers. The selection is rounded off by brands such as Gato, John Garfield, Sportisimo, and Super Zoo. In short: The retail park complements the shopping offer in Liptovský Mikuláš with its medium-priced fashion tenants and is able to offer unique tenants. The two-story RGB Liptov shopping center is located in the immediate vicinity, as are Tesco, Kik, Intersport, CCC, Merkur, McDonalds, and many others. Retail Park Liptovský Mikuláš owes its attractiveness not only to its well-developed infrastructure, providing direct access to the Slovak D1 highway, but also to the fact that, in recent years, Liptovský Mikuláš and the surrounding area have developed into real tourist magnets, attracting roughly 700,000 visitors a year. Liptovský Mikuláš is the most important city for tourism in the Žilinský region and is well known by tourists as a destination for culture, nature, (winter) sports, and wellness due to its location in the Low Tatras. The total catchment area of Retail Park Liptovský Mikuláš is encompassed within a driving time of approximately one hour, primarily along highway D1 in the east-west direction, and is comprised of a total of 155,000 inhabitants.